Marine container service is critical to Oregon and regional shippers. Oregon is one of the most trade dependent states, with close to a quarter of the state’s workforce in a position supported by trade. 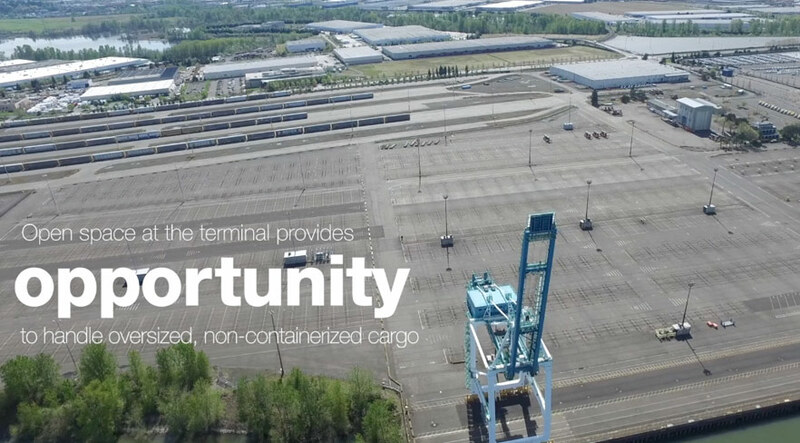 The Port’s mission is to connect people, products and places – and we are looking for the best ways to serve the regional economy. 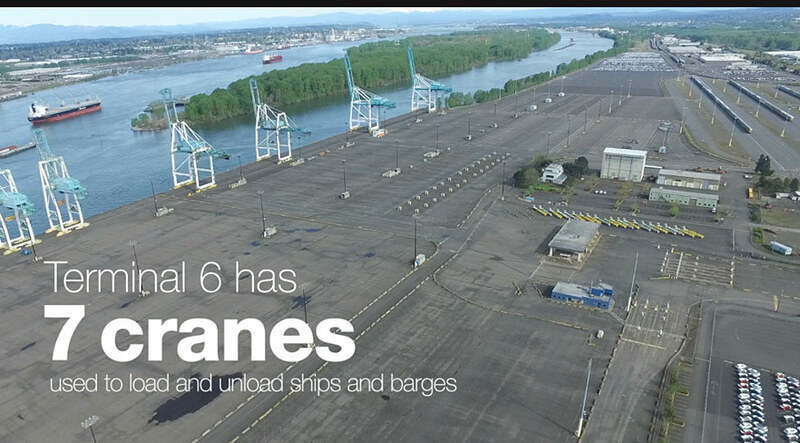 While traditionally thought of as a container terminal, T-6 handles a variety of cargoes. 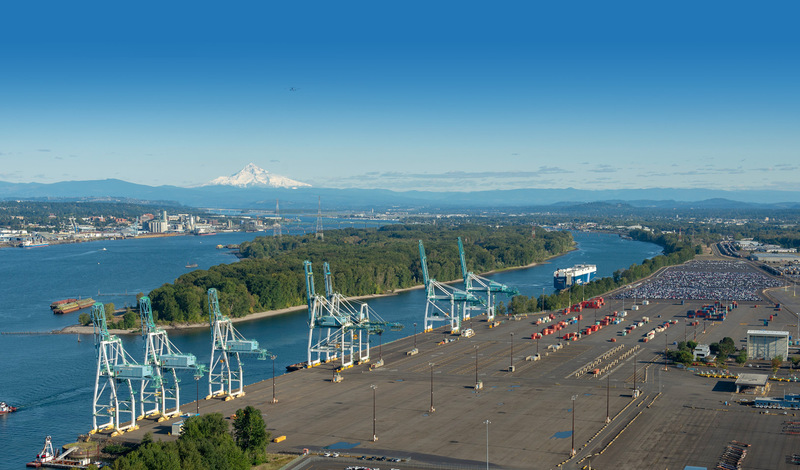 The 420 acre terminal features direct rail service and is home to the Port’s robust auto business, both imports and exports. The former ICTSI container lease at the terminal included 192 acres. 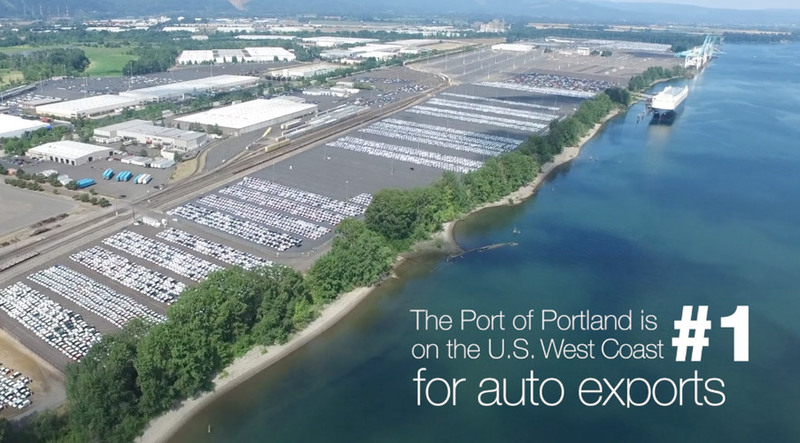 The terminal is home to some of the Port’s successful auto business. Cars are received and delivered by ship, rail and truck. 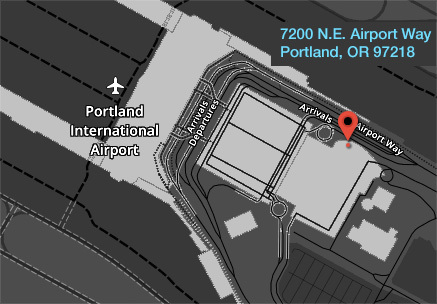 Some 167,000 vehicles moved through the terminal in 2016. Currently, 130 acres are dedicated to Ford exports and Hyundai imports on the west side; 62 acres support Honda imports on the east side. Everything from agricultural products to household goods can be shipped by container. Cargo from the Pacific Northwest is often bound for Asia, while incoming goods are moved by truck and rail to customers in our region. T-6 has seven container cranes used to load and unload ships and barges. 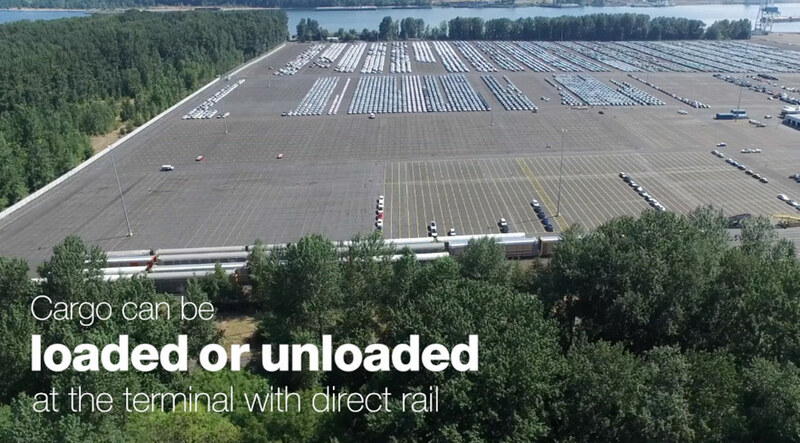 The terminal’s location on the deep channel and its rail connections allow large, oversized project cargo to be handled at T-6. This type of cargo is referred to as breakbulk. Some examples include steel slab or coil used in manufacturing, or lumber. An intermodal terminal is where freight can be transferred from one type of transportation to another, for example, from rail to truck. This allows goods to stay in a container and be easily moved from one mode to another.